Inverness' Caledonian Stadium has been chosen as the venue for the Scottish Challenge Cup final. Scottish Championship side Ross County will make the short trip to the ground of their rivals to face Welsh team Connah's Quay Nomads. The game will be played on Saturday 23 March, kick-off is at 4.30pm. 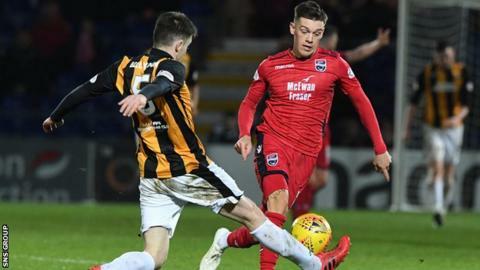 Championship leaders Ross County beat League One East Fife to reach the final, while Connah's Quay defeated League Two Edinburgh City on penalties. It will be broadcast live by BBC ALBA and S4C. It is the first time a team from outside Scotland has reached the final of the competition since they were introduced in to the tournament for the 2016/17 season.